The people who hire designers and ask them what their value is clearly don’t know what designers do, don’t really care, and don’t really want any value they might contribute. Improve your design skills with the power of cognitive psychology and user behavior. The tools we use are only ever as good as our reasons and methods for using them. A look at the link bar concept with two AB test case studies and examples from popular ecommerce sites. As a designer, we should want to be seen as essential for making the company’s mission and vision a reality. The cold blue light of modern touchscreens may be aesthetically pleasing, but it poses health problems. Things to consider when displaying decision-making elements. 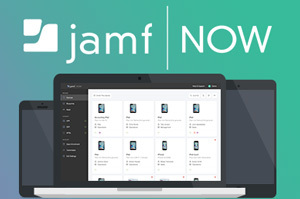 Jamf Now is a mobile device management solution for the iPad, iPhone and Mac devices at work. We make management tasks like deploying Wi-Fi passwords, securing company data and enforcing passcodes, simple and affordable, so you can support your users; no IT required. Create your free account! An online tool for creating interactive sitemaps and user flows. Sketch file with 10 email templates for designers. Design interactions and export code, directly in Sketch. A book on how to get a job as a UX Designer. Ues code uxdesignweekly for 40% off. Vax is a UX Designer on eBay’s Human Interface Group. Which pattern do you hate the most?